Believing in and teaching the transformative power of yet is perhaps my favorite of all moves and its power with struggling learners especially important. Life, learning, progress, and success is always about yet. What you can’t do now is not what you can’t do, but what you can’t do yet. Wrapping your mind around yet is not always easy. “It’s about learning to fly. If you can’t fly, run. If you can’t run, walk. If you can’t walk, crawl. Wherever you are is where you are. You will get there. Embrace where you are and believe that you will learn to fly.” These words are exactly the kinds of words we need to say to our students. Begin by acknowledging that students are where they are. Embrace that, and believe that they will learn how to fly. Truly. Believing in the power of yet is not some touchy-feely ideology but is grounded in the belief that when we have a mindset that trusts that all students can grow, we can move our students to a place of great joy and success. Acknowledge struggles. Don’t shy away from them; don’t try to smooth them over or pretend they don’t exist. Have honest and authentic conversations with students (developmentally appropriate to the age and maturity of the student), and let students know that it is absolutely okay that something is hard for them. Something is hard for everyone. Use yourself or other people students may know as an example or model. You could say: I know that _______ doesn’t come easily to you right now. That’s okay. We all have something that doesn’t come as naturally to us the first time we learn it. The trick is to keep at it, and use your community to support you. Remember how we were talking about how we all have strengths and struggles? And about how even famous people have struggles? Well, I want you to be thinking about that now. I think that _____ is feeling hard for you. Let’s talk about that. Rephrase their challenge as something that they cannot do yet. Put language around the struggle, as a yet phrase, and discuss this with them. Perhaps even posit this as a goal or in connection with a positive. For example, You cannot yet read that text you want to read independently, but you are able to identify the genre and text elements that you like, and so here are three texts that are just like that one you want to read. They will move you toward being able to read that text independently. Set goals. Setting goals is about moving students from not yet to yes. This can include really breaking down steps or providing them with a process that will enable them to reach their desired results. For example, if a student wants to read a text that is too complex for him to both understand and enjoy, then perhaps set a goal to eventually read that book and lay out books that will lead him to success. Lay out a trajectory of reading that gets him from the reader he is today to the reader he wants to be. Literally, set the goal to read the more complex text (Harry Potter, for example), and lay out the reading that will move him there (reading Sea of Monsters, then reading The Forgotten Door, and then moving to read The Secret Garden). Celebrate. We have far too few celebrations in our classrooms, and celebra­tion is key to moving struggling learners. Celebrate milestones, celebrate successes, and definitely celebrate hard work. We don’t necessarily have to achieve something to celebrate. I am not talking about “carrots and sticks” or any type of external reward, but a celebration of their work. Hard work is just that—hard to accomplish, but it will lead to success. Remember to create moments of celebration in your classrooms to acknowledge the hard work of our students to move them from where they are and what they can’t do yet to where they want to be. 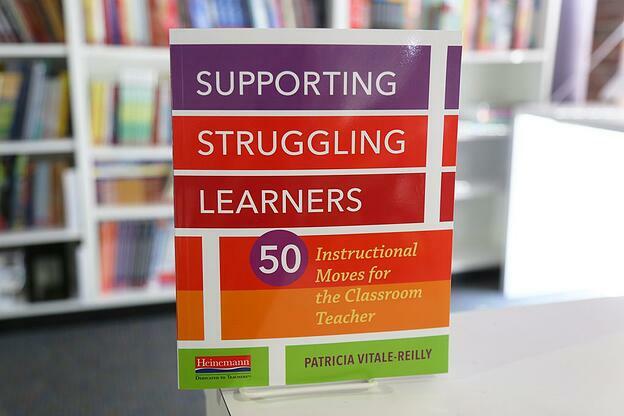 To learn more about Supporting Struggling Learners: 50 Instructional Moves for the Classroom Teacher by Patricia Vitale-Reilly and to download a sample chapter, visit Heinemann.com. Patricia Vitale-Reilly is a national consultant, teacher, and author with 25 years of experience in education. Early on it became clear that her passion was to collaborate with leaders in education to develop and achieve engaging and relevant instructional practices. Patty taught in both public and independent schools, as well as at the graduate level, in New York and New Jersey. Patty also worked as staff developer at the Teachers College Reading and Writing Project. In this capacity, she helped school communities implement exemplary literacy instruction, and presented workshops and courses on the teaching of reading, writing, assessment, and literacy in the content areas. In 2003, Patty founded her own literacy consulting group, and currently works directly with school leaders, coaches, teachers, and students inside and outside of classrooms. Patty is an author of Time for Kids teacher training materials and is a contributor to Write Time for Kids (TCM, 2000), co-author of The Complete Year in Reading and Writing Grade 2 (Scholastic, 2008), and the author of Engaging Every Learner: Classroom Principles, Strategies, and Tools (Heinemann, 2015). As a national consultant, Patty is dedicated to guiding schools and districts to set and realize goals that matter most in their learning communities, and to her belief that every student has the right and the capacity to learn. 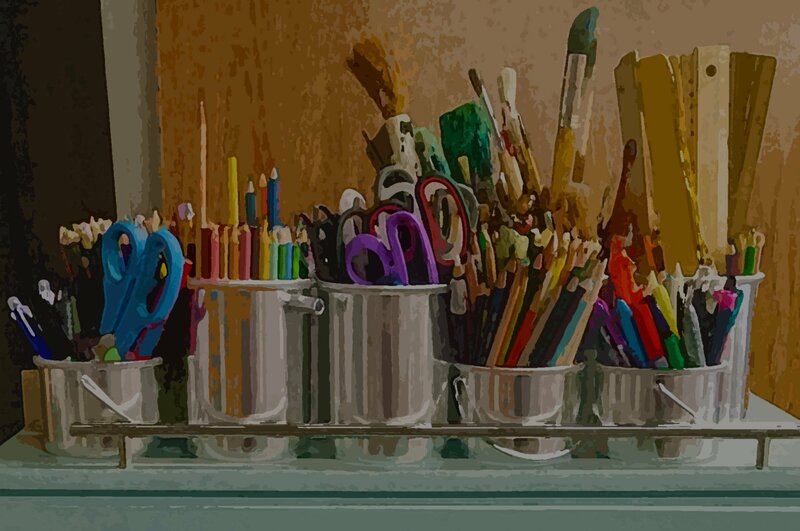 Check out her blog exploring important and essential ideas about teaching and learning at http://whatmattersmostinteaching.blogspot.com.